Why Jack Hughes should WANT to be a Barrie Colt. #OHL. - Very Barrie Colts | A website covering the Barrie Colts of the OHL. Home Aaron Ekblad Barrie Colts blog CHL Draft Jack Hughes Mark Scheifele OHL OHL Draft Why Jack Hughes should WANT to be a Barrie Colt. #OHL. Why Jack Hughes should WANT to be a Barrie Colt. #OHL. 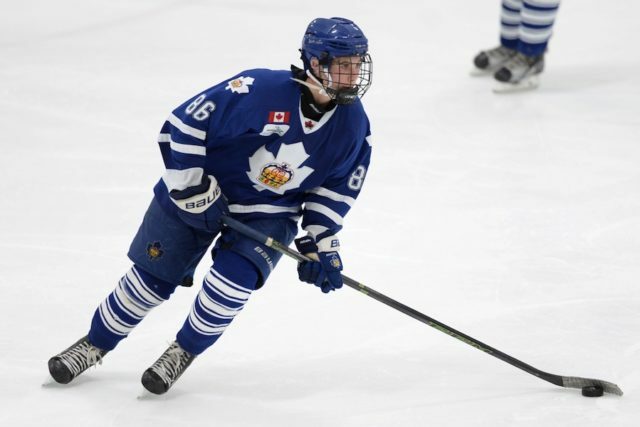 With the OHL Draft around the corner, there is lots of talk about who the Colts will select with the 1st overall pick. Jack Hughes is the obvious pick but many say he isn't interested in reporting here and is considering going somewhere that isn't the OHL. Jack, we would love to have you here! And here are some reasons we think you would want to be here! 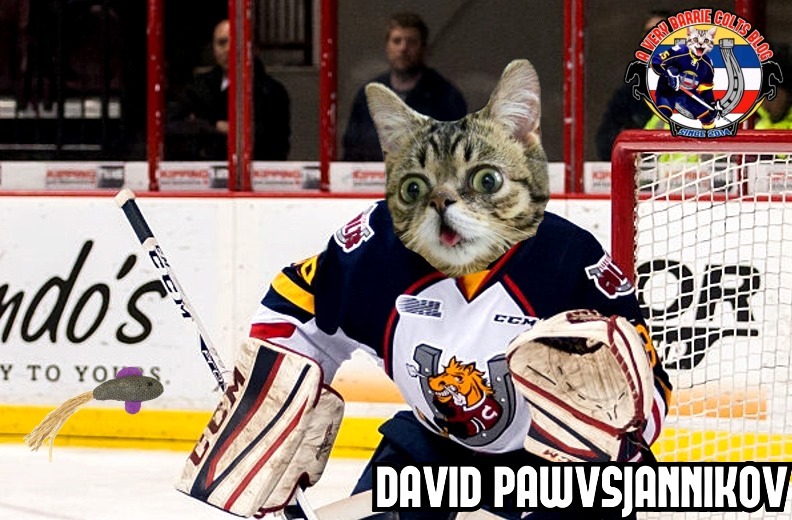 1: A Very Barrie Colts Blog: Yes, us! 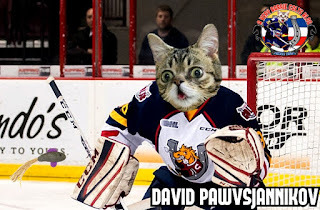 We not only will put a cat head on him (which is obviously a big deal) but he will be featured here in other nonsensical ways that other teams don’t offer. From featured posts, to photoshops of him on video games and/or Valentines day cards, he will learn that Barrie is great and will love him! 2: Colts at the NHL Draft: Why is Barrie becoming a place no top prospect wants to come? The team has helped develop top players who have managed to make the NHL. I mean look at guys like Aaron Ekblad and Mark Scheifele to name a couple. The team has existed for 21 seasons now. In that time, 38 players have gone on to be drafted by NHL teams. 11 of them have gone in the 1st round (including Ekblad who went 1st overall and won the Calder in his NHL rookie season) and 18 selected in the first 60 picks. 3: Team success: The Colts history of success. Yes, we are not the winningest team, especially last season but we generally put together good teams. Only have missed the playoffs two times. Pretty cool, right!? Sure, we might not be the London Knights but that is just because the OHL has a huge crush on them. The Colts have managed to be a competitive team since entering the Ontario Hockey League. The team has won an OHL Championship earning them an appearance in the Memorial Cup, 4 time Bobby Orr Trophy winners (Eastern Conference Championships) and 7 Division Titles. That is pretty good. 4: Fan Support: Barrie isn't the biggest city, or the biggest market but they have huge fan support. Whether they are winning or losing, the fans want to see their Colts live. As we pointed out in our 2016-17 season recap, the team ended this year with an average attendance of 3709 fans which has them in the middle of the pack league wide. This was as the worst team in the league. Last season, with one of the best records they had an average of 3830. What does this say? Fans want to come out and watch you no matter how great or bad you are. 5: Join the Rebuild: Okay, we get it! The Colts had a bad year. That being said, there were lots of good things about last season and this team is a few pieces away from really turning things around. Christian Propp is showing he is ready to fight for the top spot in the blue paint. Justin Murray and Tyler Tucker prove our blue line has solid potential and offence, well that is where he would come in. We have a pretty good supporting cast and a top prospect could really help fill this team out. 6: Beauty: Barrie is a beautiful city. Especially our downtown on the water. Lots of great places to eat and all of them wrap around a Kempenfelt Bay. Maybe you want a woodfire pizza while sitting on the water beside the, what is scary at first but kind of cool, the Spirit Catcher. 7: The Spirit Catcher: I mean, how many other cities have a large metal statue that has knives dangling from it on the lake to take selfies at? I will wait for you to list one. 8: Close to Toronto: If you want to go to concerts, pro sports games or even go to the Hockey Hall of Fame, Barrie is conveniently located just a short highway trip away from Toronto. I don't think this is a huge deal but many like that. I feel we could go on here, but we don't want to scare you away. We like you Jack, and we would love to have you here in Barrie as a member of the Barrie Colts.